I don’t know about you, but I am pretty much in denial that it is already November! If it wasn’t so chilly outside, I would not believe it. It has definitely transitioned into sweater weather here in Florence. But at least, except for a couple days here and there, the sun has been shining, and we’ve been enjoying crisp, cool fall days. 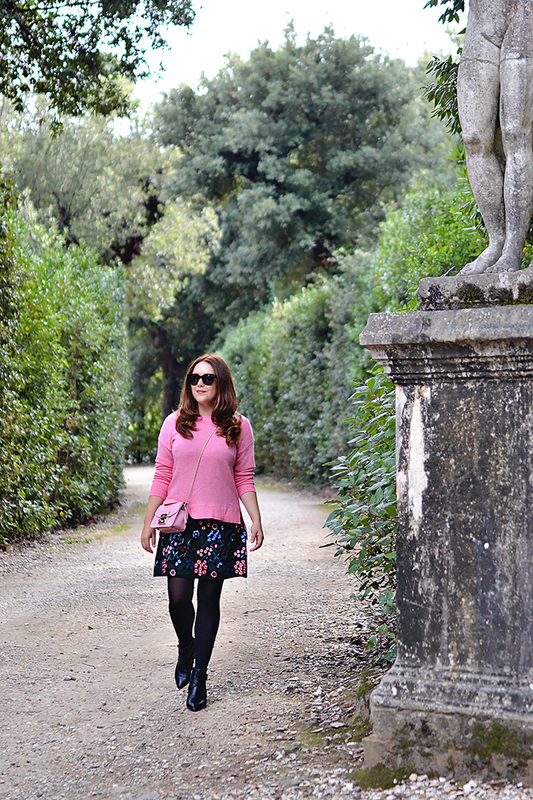 I wore my favorite pink sweater over my currently-on-repeat floral dress last weekend for a day of exploring the Palazzo Pitti and Boboli Gardens. 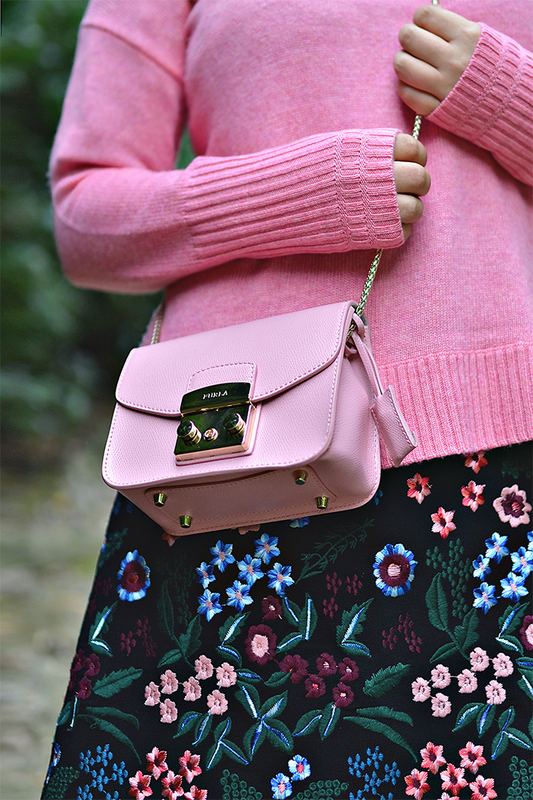 I also recently picked up this adorable Furla mini bag in the perfect pink shade for winter and fall - they call it winter rose. 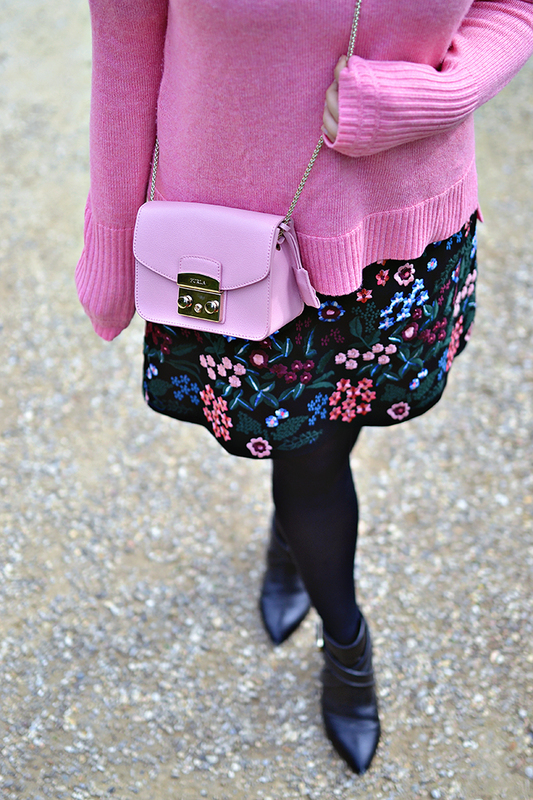 I have a serious weakness for mini pink bags! 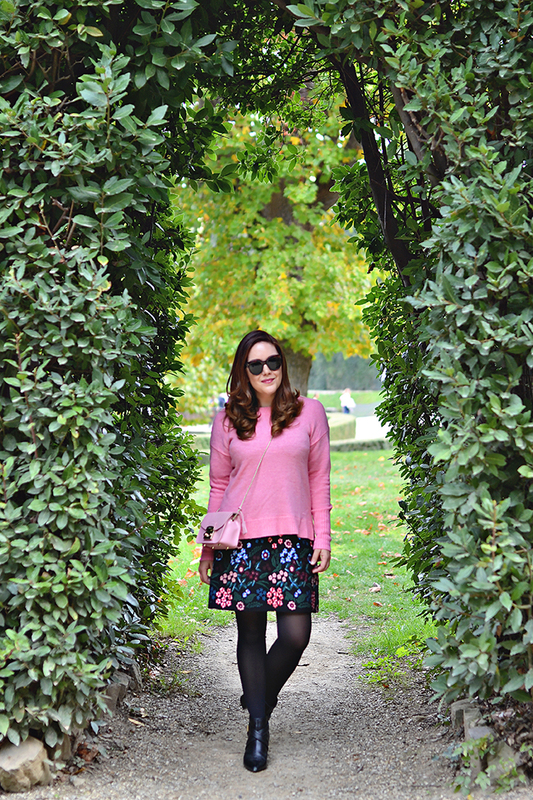 Wearing dresses as skirts is one of my favorite ways to double your wardrobe and keep warm during the fall and winter.